San Francisco, CA, September 22, 2015 – VIZ Media, LLC (VIZ Media), the largest publisher, distributor and licensor of manga and anime in North America, in partnership with The Japan Foundation and ReedPOP, prepares to welcome iconic manga artist Masashi Kishimoto, the renowned creator of the NARUTO manga (graphic novel) saga, for a series of very special appearances during the upcoming 2015 New York Comic Con. VIZ Media will exhibit at New York Comic Con in Booth #1346 and will offer a wide array of exclusive NARUTO manga and anime products for purchase throughout the convention. In response to overwhelming fan interest, VIZ Media is also pleased to announce the addition of one more autograph session for Masashi Kishimoto on Thursday, October 8th, at the Javits Center. Interested NY Comic Con attendees may pick up a raffle ticket at the VIZ Media booth between 10:00am and 1:00pm on Thursday October 8th for a chance to win 1 of 100 available wristbands to attend the signing later that day. Please visit the VIZ Media booth for the winning ticket drawing time and additional details. Masashi Kishimoto also complements his first ever U.S. professional appearances with a pair of autograph sessions and in-store appearances during New York Super Week, co-sponsored by the Japan Foundation. These appearances will take place at the Manhattan locations of Kinokuniya Bookstore and Barnes & Noble Tribeca, on October 9th and 10th, respectively. Full details are available at: http://www.newyorksuperweek.com. New York Comic Con is the crown jewel of New York Super Week and takes place October 8-11 at the Javits Convention Center in Manhattan. Kishimoto will headline a special panel on Thursday, October 8th focusing on his work and hit manga series, NARUTO. On Saturday, October 11th, Kishimoto will deliver some opening comments before the highly anticipated North American theatrical premiere of BORUTO: NARUTO THE MOVIE. Masashi Kishimoto was born in 1974 in rural Okayama Prefecture, Japan. His first version of NARUTO, drawn in 1997, was a one-shot story about fox spirits; his final version, which debuted in Weekly Shonen Jump in 1999, quickly became the most popular ninja manga in the world. The series spawned multiple anime series, movies, novels, video games and more. 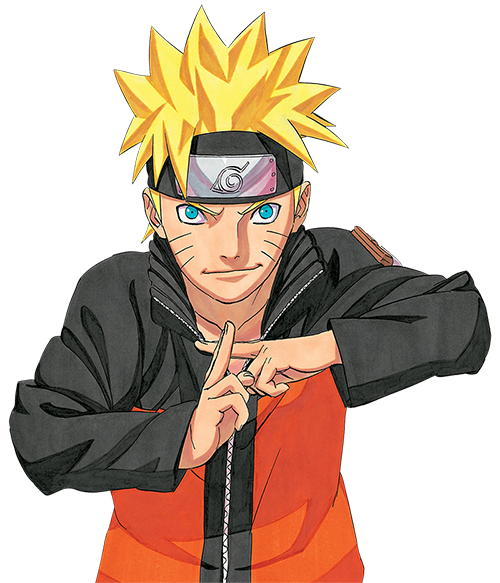 Having concluded the series in late 2014, he has kept himself busy with the side-story Naruto: The Seventh Hokage and the Scarlet Spring and with writing the story for the latest Naruto movie, both of which will focus on the title character’s son, Boruto. The NARUTO manga series is published in North America by VIZ Media.